Here are some interwievs with members of some of the organisations within the Red and Black Coordination. What is your area of work within your organisation? I work mainly on the international issues. In USI we don’t have an International Committee but there is at least one member in each city that works with international questions. So, I mainly look for information about what goes on in other countries, I update my comrades and suggest possible relevant actions. I am also the union’s representative in my working place. In this regard, I bring together USI and the movements of self-management of both students and workers within education. I furthermore coordinate the consequent common actions. What was, in your opinion, the highlight of this meeting? I really liked the fact that we took some decisions regarding common actions. Our conversation was rather practical than theoretical. I am mainly entrusted with the task of the cooperation of SO with other groups, unions, community or neighbourhood associations, etc. SO works mainly with issues in the public sector and especially within transportation and public health. I am hence trying to find other groups that are interested in the same issues and could work together. I do the same when it comes to groups, unions, etc. from other countries. Sometimes other groups contact me and ask SO’s collaboration to one of their projects and/or actions. In those cases I gather all the relevant information and transfer it to my comrades so that we can discuss the possibility of cooperation. I have the impression that in this meeting went both well and smoothly. We worked well together and reached simple agreements for future actions. We both work on the international issues. We furthermore work on actions of solidarity with dismissed workers. Recently we started a project about the development of new forms of struggle that will be both more inclusive and more effective. This is a long-term project and we are currently studying the ongoing restructuring of the working relations. It was very interesting to listen to other comrades talking about their organisation’s international work. We believe that by exchanging information regarding our experiences we strengthen the bonds of solidarity and enable the development of common projects. 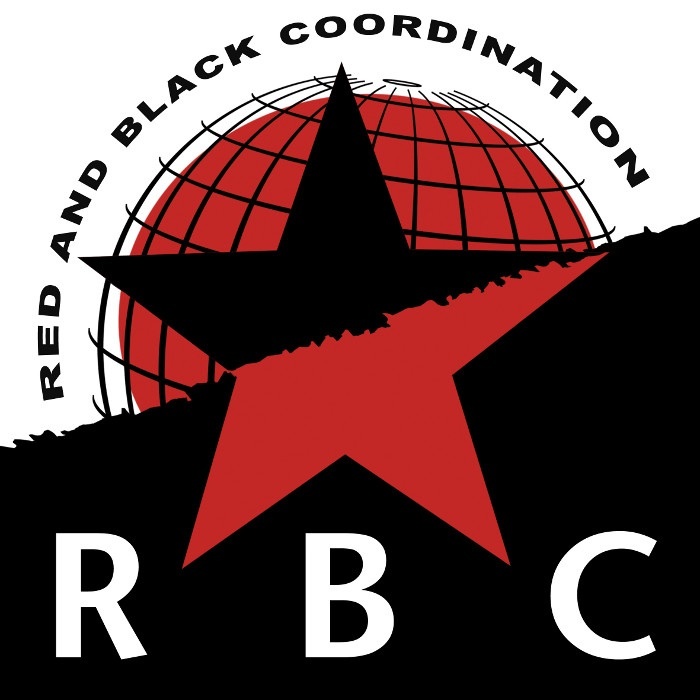 I recently became a member of the International Committee hoping that I can positively contribute to the solidarity network that is being built within and by the Red and Black Coordination, as well as to the development and execution of common projects. Since it was the first time I took part in a meeting of the Red and Black Coordination, I could mention many things that I found interesting such as receiving information about other comrades experiences and projects in hand, the changes that take place in each country and the relevant types of reaction, or even issues raised during the meeting such as language diversity and how to deal with a possible communication breakdown. But, if I had to choose one point as being this meeting’s highlight, then that would definitely be our decision regarding the development of working groups that will work together in between the meetings of the Red and Black Coordination. This, in my opinion, will strengthen the existing solidarity bonds and promote an even better collaboration and the development of more common actions.